Grew up with Pinar Karsyaka Spor Kulubu Izmir (Turkey) juniors. Made his debut with Karsyaka during the 1996-97 season. Signed for the 2000-01 season by Efes Pilsen Istanbul. Back to Turkey for the 2007-08 season, signed by Besiktas JK Istanbul. Signed for the 2008-09 season by Efes Pilsen Istanbul. Signed for the 2010-11 season by Fenerbahce Ulker Sports Club Istanbul. Signed for the 2013-14 season by Trabzonspor Basketball. 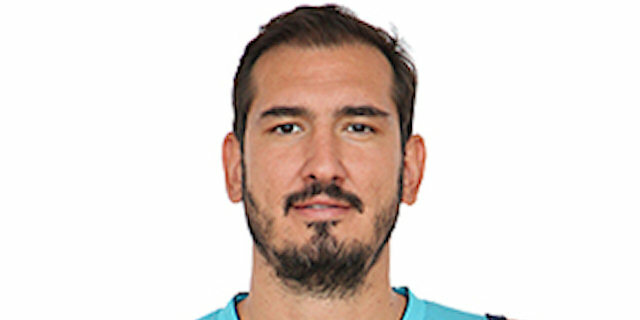 Signed for the 2015-16 season by Tofas Bursa. Played there also the 2016-17 season. Signed for the 2017-18 season by Turk Telekom Ankara. Named the 2005-06 Euroleague November MVP. Won the silver medal at the 2001 European Championship. Played at the 2003, 2005 and 2007 European Championship. Played at the 2002 and 2006 World Championship. Played at the 2005 Mediterranean Games. Won the 2001-02, 2002-03, 2003-04, 2004-05 and 2008-09 Turkish National Championship with Efes Pilsen Istanbul. Won the 2010-11 Turkish National Championship with Fenerbahce Ulker Sports Club Istanbul. Won the 2001, 2002, 2006 and 2009 Turkish National Cup with Efes Pilsen Istanbul. Won the 2011 and 2013 Turkish National Cup with Fenerbahce Ulker Sports Club Istanbul. Won the 2000 and 2002 Turkish President Cup with Efes Pilsen Istanbul. Played the 2005, 2006, 2008, 2010 and 2012 Turkish All Star Game. Named the 2010 Turkish All Star Game MVP. Played at the 1998 European U-18 Championship. Played at the 2000 European U-20 Championship.